When we started researching where we’d stay in the Seychelles, we knew it had to be somewhere affordable with family sized rooms, a great pool and right by a beautiful beach. Berjaya Beau Vallon Bay Resort kept coming up in our searches. This resort met all our requirements and more with a ton of restaurants, facilities, a big pool and perhaps the best location on Mahe. We were excited to arrive and to start soaking up the Seychelles. So what it a good pick? 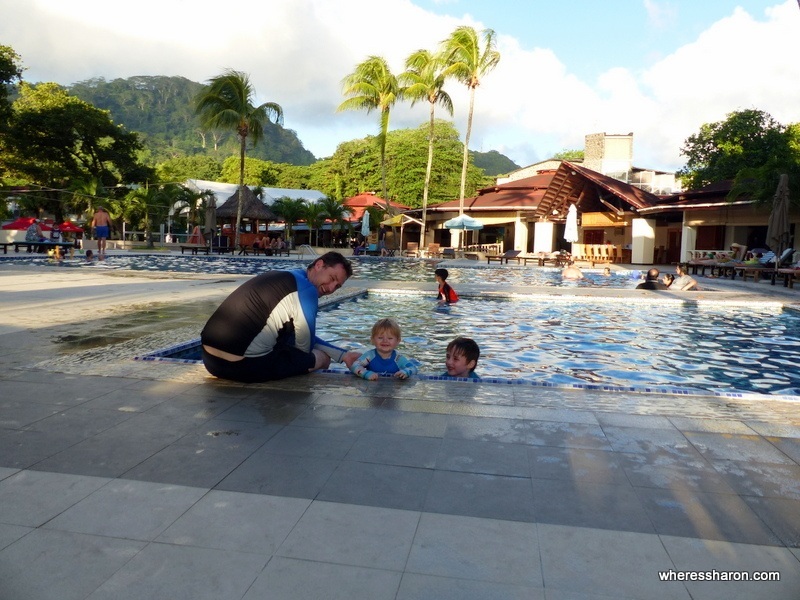 Berjaya Beau Vallon Bay Resort is a great pick and we loved our stay in this resort. 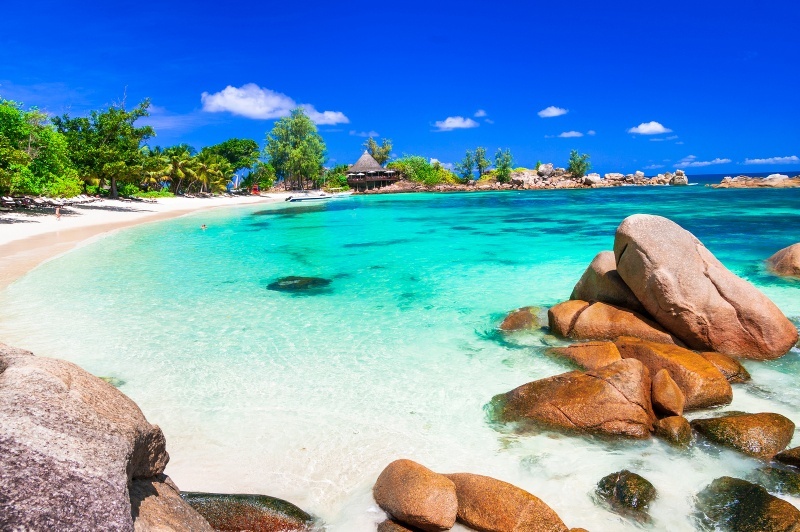 It’s the perfect spot from which to enjoy the Seychelles and everything on the island of Mahe. We stayed in this resort with our three kids aged 13 months, 5 and 7. Deluxe room. Baby J liked the balcony too! We stayed in two connecting deluxe rooms which were just perfect for our family of 5. The individual rooms were both large with two couches, king size bed, desk and chair, cupboards, fridge and large bathroom. The best part, however, was the lovely balcony with table and chairs. I really appreciate a good balcony when travelling with kids especially with a baby who naps. It was not a hardship at all to spend his nap times on the balcony with a glass of wine. We did check out the standard rooms. They are somewhat similar to the deluxe – just not as big, no balcony and not quite as nice. I definitely recommend paying extra for the deluxe especially if you are travelling with kids. You will be thankful for the extra space and balcony. The rooms are on the old side, but they are comfortable and we were happy with them. One of the big plusses of this resort is the variety of eating options. There are multiple restaurants with Italian, Chinese, Japanese and Indian options. There’s also a buffet and all room rates include breakfast and you can get a continental breakfast if you are departing early. The food is very good. If you’re feeling lazy, you can get room service. We loved having Italian at the pizzeria right by the beach. I especially recommend the pizzas here. So good! We also had to try the Indian after hearing it was the best Indian food in Seychelles. Unfortunately, I have not tried all the Indian restaurants in the Seychelles, but it is very good! The prices are surprisingly reasonable. It was a lot cheaper to eat at the hotel than what we experienced in Victoria. It’s also possible to pay for a half board stay where you get dinner included. Hanging at the pool. Soooo nice. 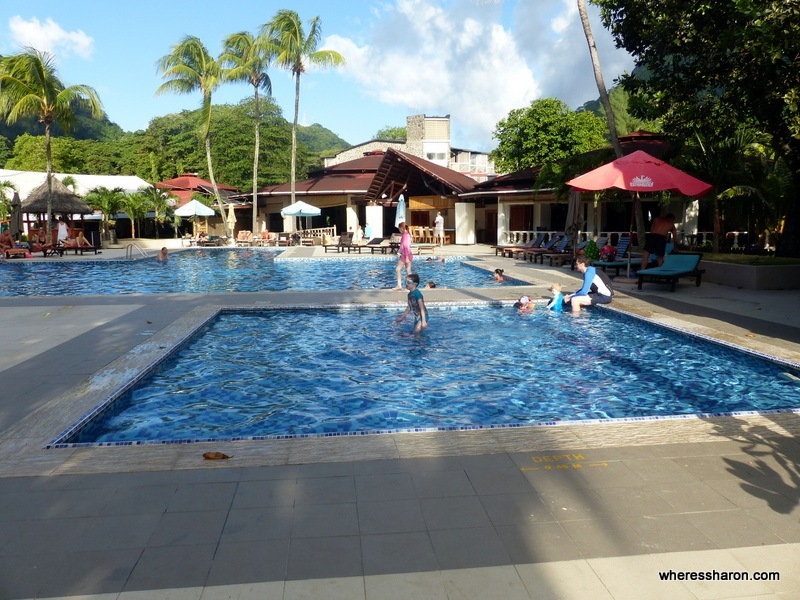 The facilities are definitely a big part of why we had such a great time at the Berjaya Beau Vallon Bay Resort. This resort is overflowing with them! Apart from the eating options mentioned above, there are multiple bars, a casino, gym and tennis court. There is also a tours desk. For families, the best parts are definitely the big outdoor garden area, pools (including a kids’ pool) and playground. 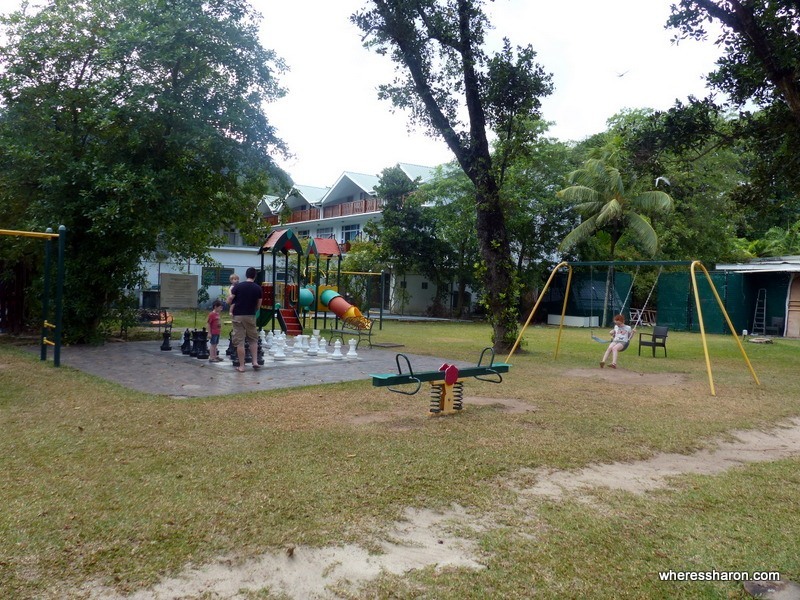 The playground area is quite good and even has one of those giant chess sets. Mr 5 loved learning how to play. The pools and playground area is right next to the beach. Access is easy and there are deck chairs and towels available as well as water sports equipment. Non-motorised equipment can be used for free. We were never hassled ever on the beach. The resort is also well presented with lovely gardens everywhere. 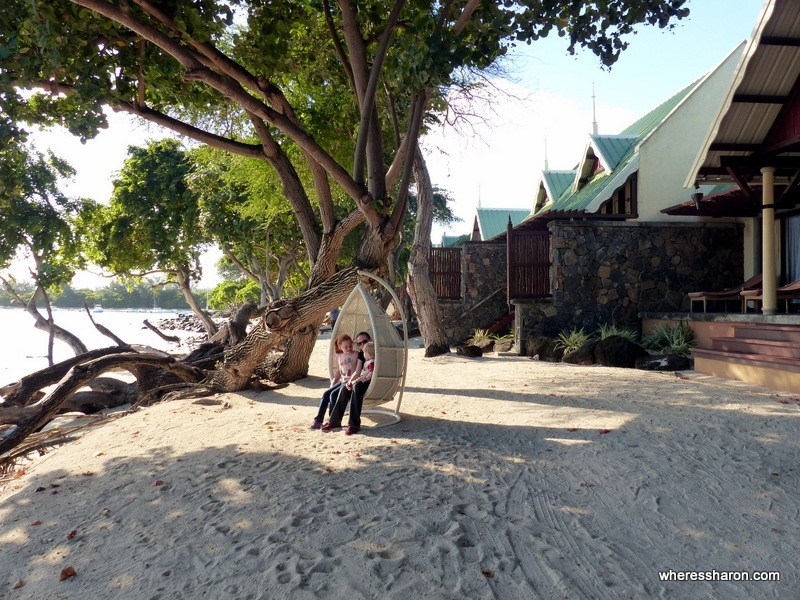 One of the things I loved most is that it is low level and, from the pool and beach area, you can barely see the resort at all – just trees and hills. It’s beautiful. This does also mean you aren’t getting a beach view from your room but I think the trade off is worth it. There’s also a free daily shuttle bus to and from Victoria which I highly recommend you catch. Victoria is definitely worth some exploration. My only real complaint about this hotel is the internet. It does exist and it is fine if you just want to check your email or Facebook. Otherwise, it’s frustratingly slow and intermittent. Thankfully, they are currently upgrading it so hopefully it is good by the time you visit. The location right on Beau Vallon beach is absolutely superb. 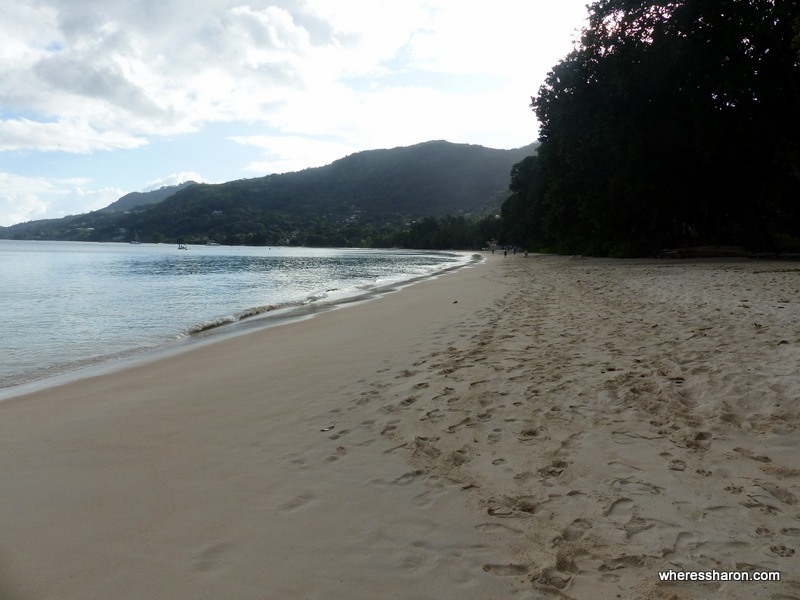 This beach is meant to be the best one on the island of Mahe (the main island in Seychelles). I would believe it! 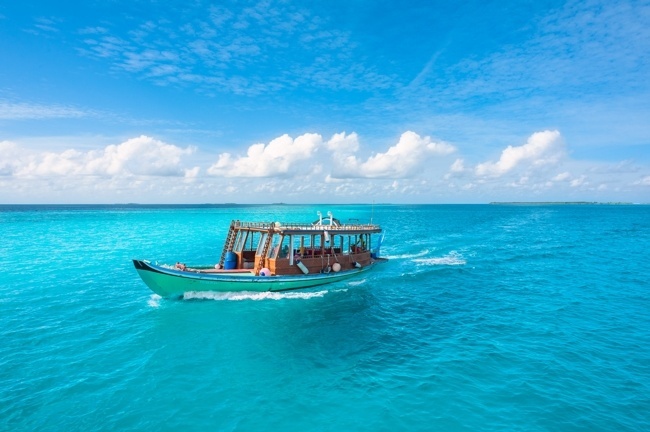 It’s absolutely perfect – powder white sand, calm, crystal aqua water. The whole beach is just stunning and development has been well managed so you do feel away from it all with tree covered hills being the main view from the water. The resort is around the middle of the beach and, from the road side, it’s right by the main road to Victoria, the capital. This means it’s very easy to get here both via taxi and public bus. We had no problems getting the public bus here from Victoria (after catching the free hotel shuttle to Victoria). On this road, you can also find an ATM and shops within a couple of minutes walk from the hotel. It makes things super easy. I really don’t think you could have a better location in Seychelles if you want to be near a perfect beach and easily set up to explore. Hanging at the pool. Soooo nice! 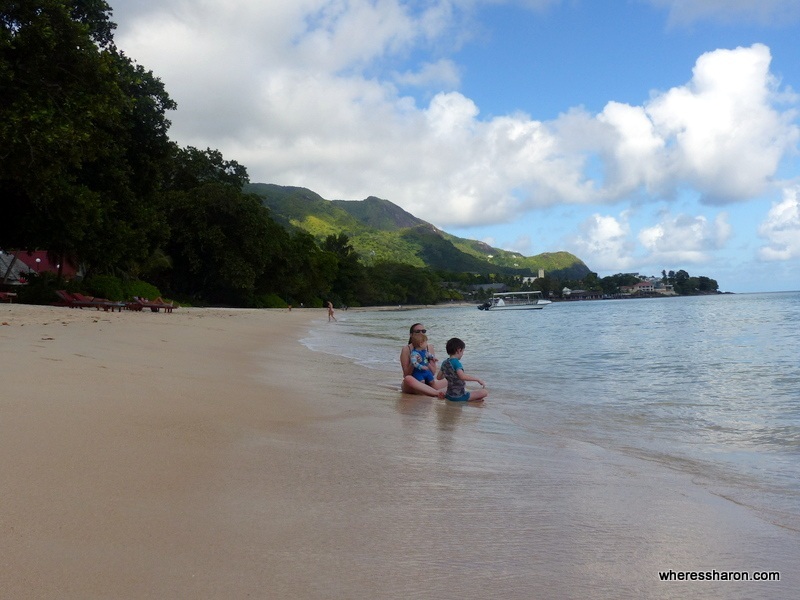 We loved our stay at the Berjaya Beau Vallon Bay Resort in Seychelles. 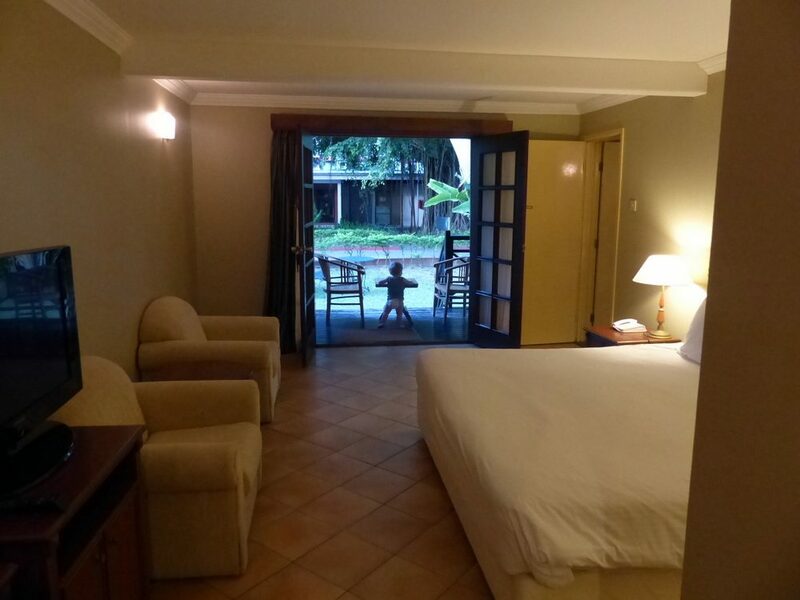 Our rooms were big, comfortable and worked well for us. We loved the food. We loved the pools, the playgrounds and we absolutely loved the beach area. The best part, however, was how all of this fit together to give us an easy and lovely vacation. We aren’t usually beach people but we became them here in Beau Vallon as it was all so lovely and easy. Our kids loved it here too. Baby J was like a rock star with constant attention from other guests and staff. Z made a friend and S loved the opportunity to swim, splash and eat lots of food! Would we stay here again? Most definitely. I just wish the Seychelles was a bit closer to Melbourne so we could come back all the time. 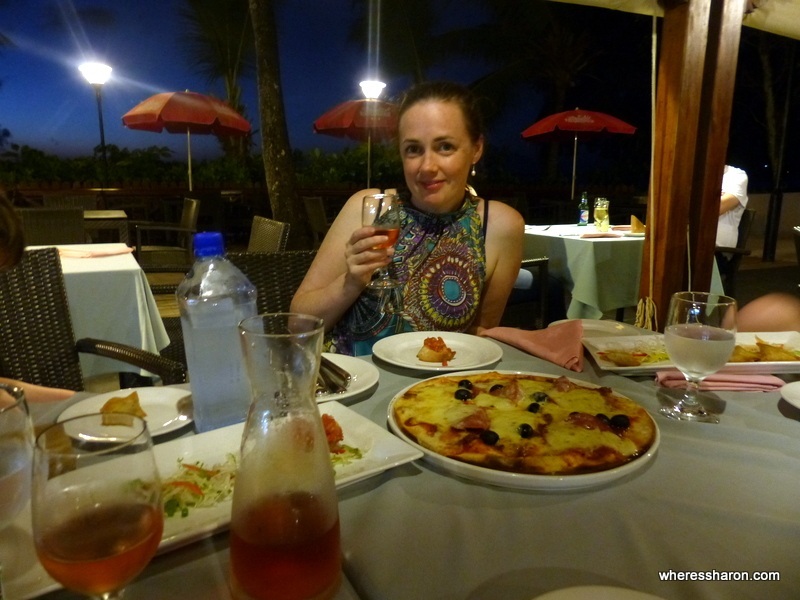 Disclaimer: We were guests of the Berjaya Beau Vallon Bay Resort. As always, all thoughts are our own. Seychelles! Wow! Just the other day I was reading your Mauritius post… Seems like you have quite a taste for exotic destinations. 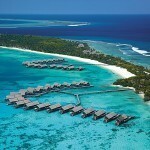 I always hated resorts but after reading your posts they don’t seem to be a bad idea. I used to tell myself I hated resorts when I was staying in hostels. 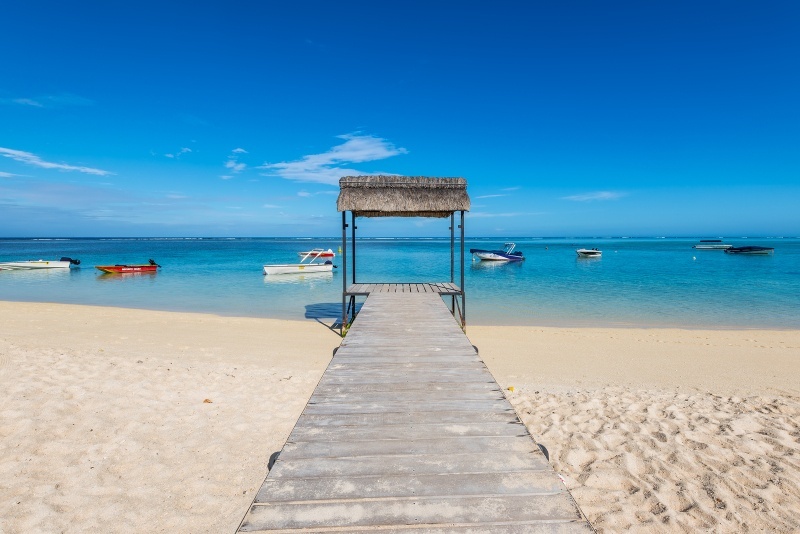 In reality, I love them 😀 Seychelles and Mauritius are fabulous destinations and easy to visit together. The resort looks quite impressive. The beauty surely lies in the beach. It’s a gorgeous place Muhemmed! Fantastic information about Vallon Bay resort. I love to watch videos of room, Facilities. You need to add some information about Resort Address, Price and what time that resort is better for people like Summer, Winter etc.